The Alexandrine parakeet, also called the Alexandrine parrot, is a bright, gentle, independent, medium-sized bird. They are known to be hardy and relatively quiet compared to their Indian ring-neck cousins. 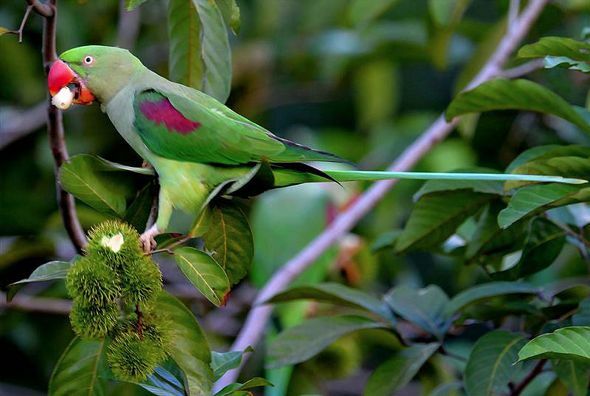 The Alexandrine parakeet is named after emperor Alexander The Great (born 356 B.C. ). 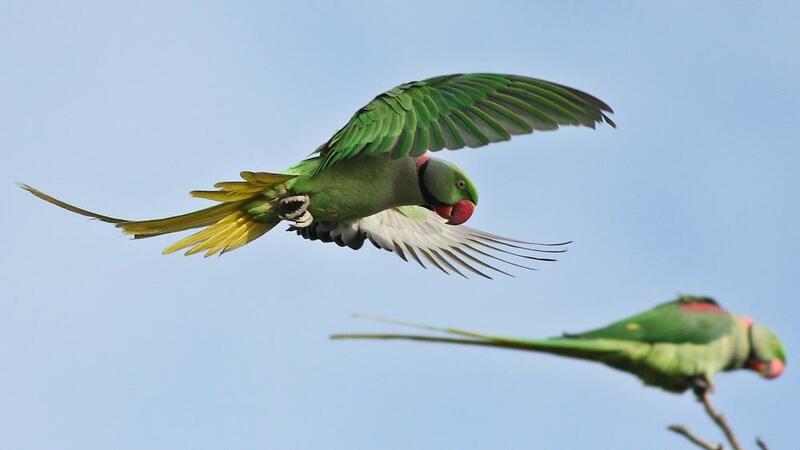 He is said to have had numerous Alexandrine parrots exported to Europe and the Mediterranean. Alexandrine’s were popular with nobility and the upper class. 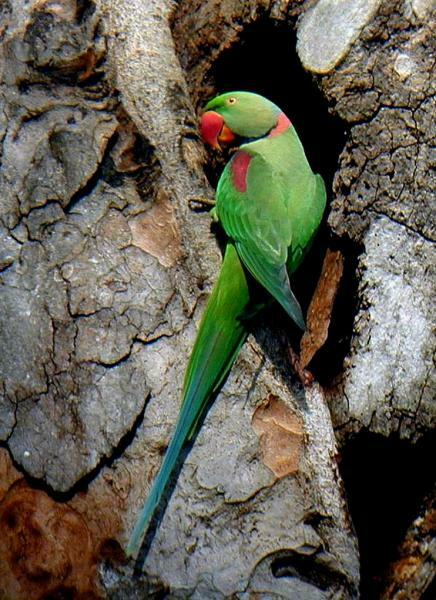 Alexandrine parakeet is native to East India to Hyderabad, Andhra Pradesh in the South, Sri Lanka. Alexandrine parrot need a cage tall enough to accommodate their long tail feathers, which can be up to 14 inches in length. Alexandrines, like most parrots, are chewing machines and need lots of softwood toys to keep them happy. Add on a few rope toys and a couple of indestructible acrylic toys, and the Alexandrine is ready to play. Puzzle toys that hide nuts or dried fruit can be especially entertaining for an Alexandrine parakeet, which is always ready for a challenge. Alexandrine parakeets will generally live peacefully with others of its kind but might be aggressive toward other birds. The Alexandrine parrot beak is powerful and large, so keep smaller birds out of your pet’s reach. If you have a “cousin” bird, like an Indian ring-necked parakeet, you can let the birds play. You should not let the two species breed. All in all, the Alexandrine is a lovable, intelligent parrot that can live more than 30 years if cared for properly. Alexandrine parakeets’ diet should consist of a pelleted base diet, as well as fruits and vegetables. The Alexandrine parrot is playful and can be quite talkative, able to amass an impressive vocabulary. This bird can be a wonderful family pet. Alexandrines are loyal birds, and often bond with multiple family members, unlike a few other species. They are quick to learn tricks and are capable acrobats.